Sold in aid of the crowdfunding campaign for Draw the Line – the anthology of comics/illustration of actions for positive social change (and winner of the 2017 Broken Frontier Award for Best Webcomic!) 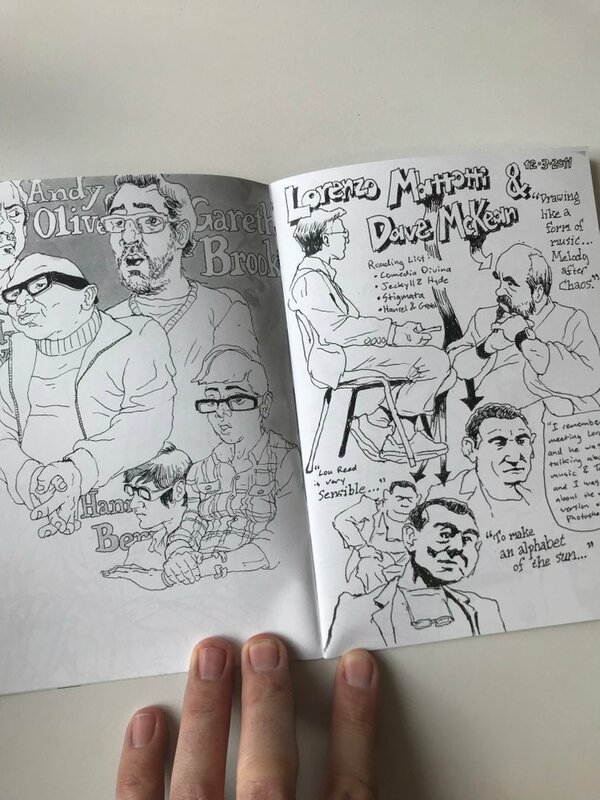 – Aneurin Wright’s Unconventional Wisdom is a sketchbook-style collection of images the artist has drawn at comics events over the last few years. 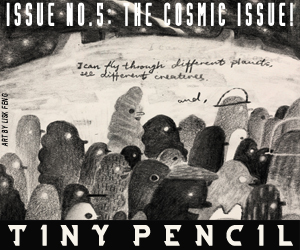 Wright was first featured at Broken Frontier way back in 2012 when I reviewed his graphic memoir Things to Do in a Retirement Home Trailer Park …When You’re 29 and Unemployed here. 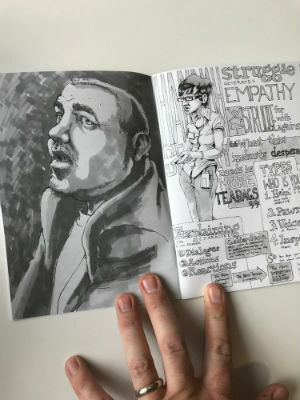 The book was published by Myriad Editions and is a distinctive entry in the graphic medicine strand of comics storytelling, detailing his time as a full-time carer for his terminally ill father. He’s also the artist behind the literary humour strip Sprout’s BookClub for the Waterstones blog and is currently working on Noni’s Wedding for Myriad Editions. As Wright states in the introduction to Unconventional Wisdom there’s a threefold purpose to the publication. Firstly it’s an introduction to his style in its rawest but purest form, devoid of self-editing and capturing not just the moments depicted but the mechanics of that translation of reality to the page. Those flicking through its pages may also notice a certain Editor-in-Chief of their favourite comics culture website in one early sketch alongside Comics Laureate Hannah Berry and graphic novelists Woodrow Phoenix and Gareth Brookes at a panel at the Myriad First Fictions festival in 2014 (below left). It also acts as a fascinating and unique record of comics events and communities that may otherwise have been forgotten. Those ephemeral fragments of time now caught forever on the illustrated page, with Wright’s occasional commentary giving further perspective on the atmosphere of the occasion (from the self-deprecating modesty of one creator through to the tetchiness of another!). 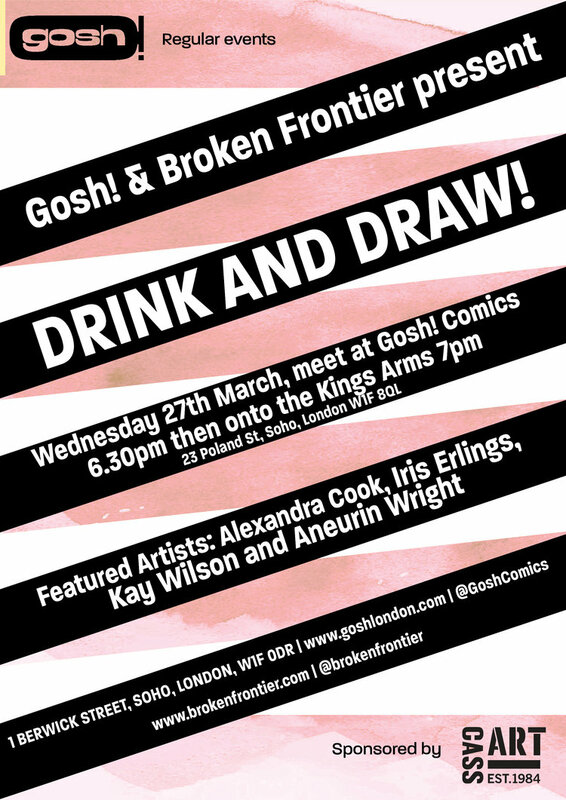 There’s a host of names within these pages who will no doubt be very familiar to British Broken Frontier regulars including Nicola Streeten of Laydeez do Comics, Julian Hanshaw, Andy Poyiadgi, Mike Medaglia, Ian Williams and Joe Decie. From a wider international perspective Wright gives us portraits of the likes of Art Spiegleman, Craig Thompson and Brian Azzarello. 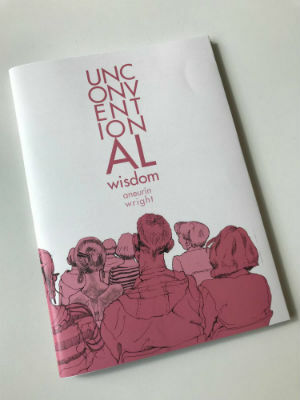 You can order Unconventional Wisdom online here. 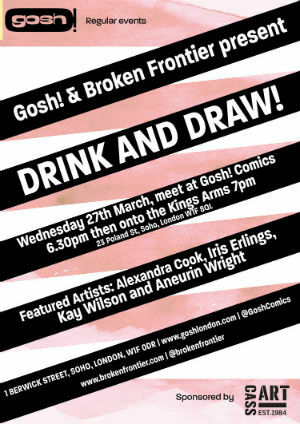 Aneurin Wright is a guest artist at this week’s Gosh Comics and Broken Frontier Drink and Draw. 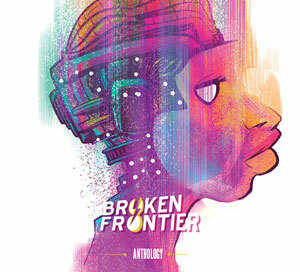 A View From the Frontier – Welcome to ‘Myriad Week’ at Broken Frontier!